All right, ladies and gentlemen! We have for you today another magnificent piece of music. But today's post is going to be a little bit different. You'll find out why in a moment. And our song is . . . Yes, I have picked this soundtrack before. I can't help myself. The music for Ori and the Blind Forest is just so perfect. This actually comes from the additional soundtrack for the game, which is free to download, if I'm not mistaken. With this and the original soundtrack, you'd have virtually all the music made for the game. I love the tone of this song. The only descriptive word that comes to mind is bittersweet. Well, that and absolutely gorgeous. I don't know how Gareth does it. He has created a score that I not only find memorable, but also very emotional and moving. I mentioned in my other Music Monday post about this score that it's a very piano-based score, which is one of the main reasons why I adore it so much. There's just something about that instrument that I enjoy so much. It's probably used in most of the tracks for this game. It's even used in the final battle music! How often does that happen? Correct me if I'm wrong, but this song also utilizes some type of flute and a marimba (or maybe a xylophone?). The combination of all the instruments in the song work well together to create a "forest" feel, if you know what I mean. I know my thoughts are all over the place, but I'll just chalk that up to beautiful music turning my brain into mush. (Don't tell me that's never happened to you.) But one of the best things about this score is its use of leitmotifs. Gareth has managed to invent key themes that are easy to recognize and are simply fantastic in every sense of the word. In fact, this track uses Ori's theme very poignantly from 2:43 to about 3:21. 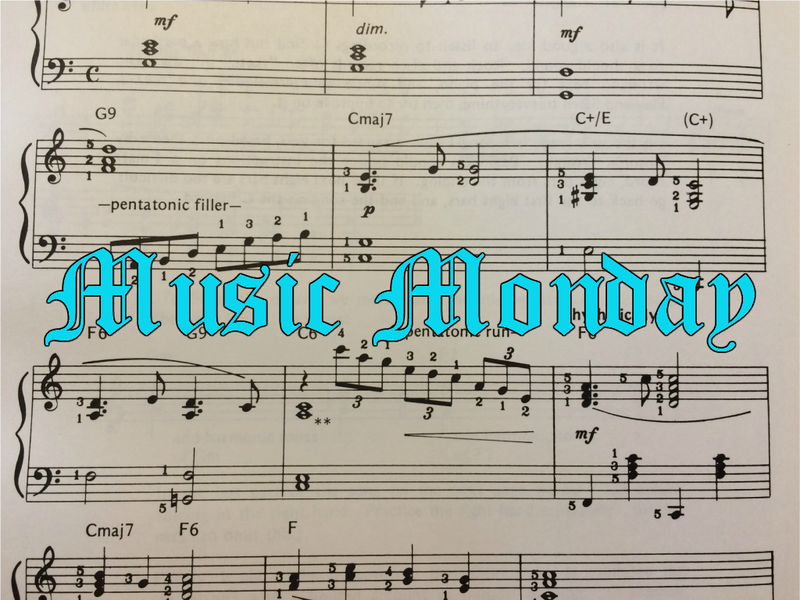 You might recall that in my tenth Music Monday post, I asked for a bit of help today, and here's why. I thought that I knew and recognized all the themes in this soundtrack. But now I'm a bit unsure, which is why I decided to see if any of you guys know music better than I do. To do that, I'm going to need to add two more songs to this post. 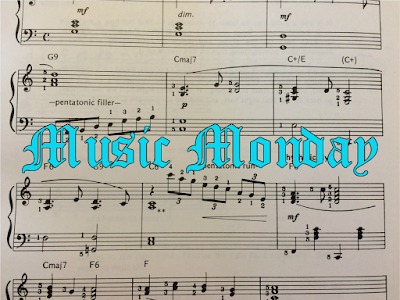 Disclaimer: these tracks are not the "official" song for today, and therefore may be used in future Music Monday posts. So this track (titled "Ori, Lost in the Storm") is where you can hear Ori's theme the best. It pops up from about 0:23 to about 0:46. Somewhere along the line, I had the startling revelation of just how often this leitmotif appears in this soundtrack. I thought it was just the coolest thing! And it made sense, because the little guy is the main character. Of course his theme is going to be reiterated in the album to make it stronger. But a few weeks ago, I suddenly became unsure. Pay attention to the theme that plays from 0:30 to about 1:18 of this song, "Restoring the Light, Facing the Dark." This leitmotif is extremely recognizable when it shows up in other tracks, and it's one of my favorites. I love it to pieces. But here's where my confusion comes in. I thought this was the same as Ori's theme for the longest time, and now I'm not sure. In some ways, they sound different, and yet in other ways, this one feels like a fuller version of the leitmotif for Ori. I know next to nothing about things like musical notes and such. I can't look at sheet music for these two songs and see if they're similar in any way. And this may sound totally ridiculous, but I really want to solve this conundrum. When something like this bothers me, I feel very compelled to solve it. Now, on Gareth's website, there is a way to email him. But if I do, to ask him about this, how do I know if he'll even read it, much less respond? He's probably a busy guy, and no doubt someone screens his inbox. They might see my email and just delete it. So before I go down that road, I want you, the best blog readers in the world, to help me with this "problem" of mine. If you have taken music lessons, your ears are probably more musically inclined than mine. You would be able to tell the difference, wouldn't you? Well, that's all I got. I figured there would be at least one person on here who knows music more than me. If you can help me, great! If not, that's fine. I would just try contacting the composer then. They sound fairly similar, but I think they're different. The song was really pretty, and that cello definitely added to it! What?! Lucky you! XD Which do you prefer? I've added several of the pieces from the soundtrack to my Spotify. I couldn't stop listening to the first one you posted a while back. I love playing movie soundtracks! I have three binders mainly filled with them, not to mention the LOTR and Les Mis books. :) But pop songs to sing along to are really fun too. Nice! Movie soundtracks are the best. :D Along with TV show and video game soundtracks, that is. XD What soundtracks are your favorites? And what kind of pop songs do you enjoy listening to? Studio Ghibli soundtracks are really pretty. And others like Narnia, Little Dorrit, Pirates of the Carribean, LOTR, Chicken Run, etc. I like Imagine Dragons and Twenty-One Pilots. But I rarely follow artists. I just like one or two songs by a large variety of singers. I also like old pop like Billy Joel, and some classic rock like Queen. They're pretty similar, but the theme in Restoring the Light, Facing the Dark is expanded - not only do more instruments play, but it's spread out across a wider range. Also, around 47 seconds, there's a variation where the melody goes up instead of down, and then at about 54 seconds, a harmony line of strings comes in. The melody branches out a bit from then on. I'd say that you're definitely correct about them being different, but they are related. Hope this wasn't too much of an info dump! *jaw drops* See, this is why I ask around, because there are people like you who are really knowledgeable about the technical side of music. Thank you for your help! It's much appreciated, and it certainly wasn't too much of an info dump! :D So I guess this is kinda like a secondary them for Ori? Maybe his heroic theme or something? I suppose I'll truly find out when I play the game. I'm pretty sure the theme from "Restoring the Light, Facing the Dark" is used more often than the one in "Ori, Lost in the Storm." I imagine it would be! I also find it to be great writing music as well. You might be interested in knowing that Gareth Coker is also composing the soundtrack for the sequel game, Ori and the Will of the Wisps. I wanna buy the album the day it hits stores, because I'm sure it will be just as good as this one. Unfortunately, I'm not really a gamer. :( However, I will take your word for it. And that's too bad that your laptop can't handle it! What a disappointment. Yes indeed! Thank you for telling me; I'll have to look that up. I hope it's even better. :D Do you know when it's supposed to come out? Well, I understand that gaming's not for everyone. :) It is unfortunate, but I hope to one day get myself a good gaming laptop, which would be able to handle it like a dream. You're welcome! I wouldn't doubt it. :D No, the release date has not been announced yet. Seeing as they've announced the game already, my guess is sometime later next year, maybe 2019? I'm not sure. Well, let me start with just a couple soundtracks. If you don't care for them, let me know, and I'll give you more suggestions. Now, when I'm asked what my favorite soundtrack, three come to my mind instantly: Ori and the Blind Forest, Mad Max: Fury Road, and Undertale. They're all very different from one another, but I don't get tired of listening to them. Undertale has a very different soundtrack. Because the game is reminiscent of the older generation of video games, the score utilizes chiptune music, but it also has orchestral tunes. At first, it might seem really "simple," but the composer, Toby Fox, is a master of reusing leitmotifs. And there are definitely some songs that I find really moving. Like I said, if you want more suggestions, feel free to ask. But I cannot recommend these three soundtracks enough.